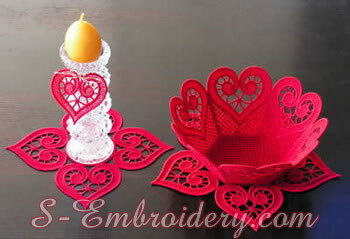 An elegant set of one free standing machine embroidery lace bowl, two free standing lace doilies and one free standing lace heart. 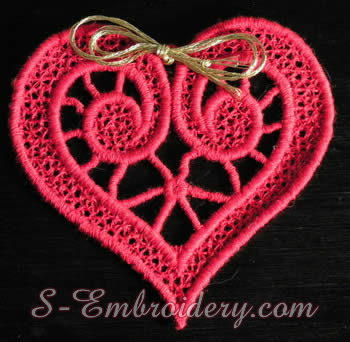 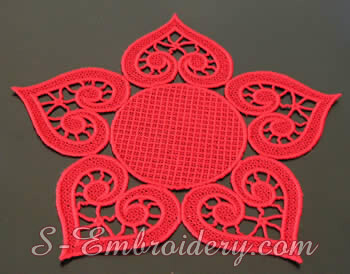 The freestanding lace heart heart can be used as a standalone decoration. 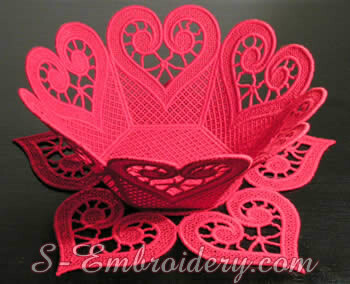 A step by step tutorial with instructions on producing a freestanding lace bowl is delivered with the machine embroidery designs.